Are you ready to show off a bright new smile? It’s very common for tooth discoloration to happen over time because of tea or coffee stains, smoking, or other factors. 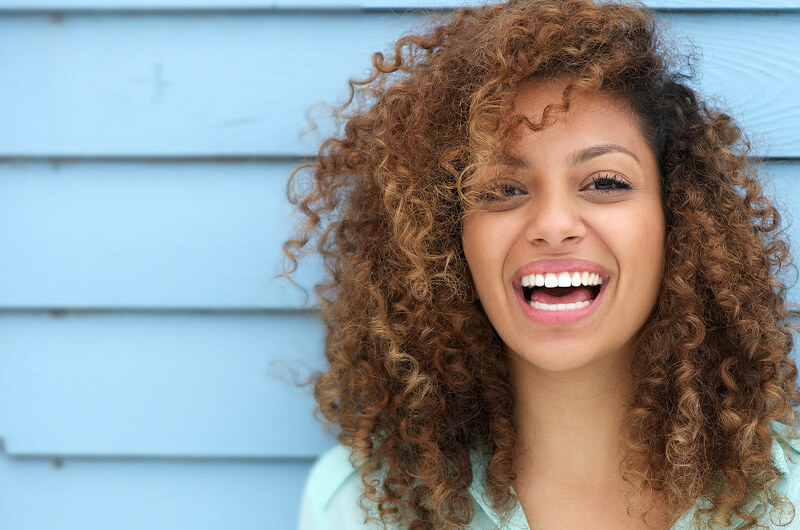 If you’re thinking of exploring ways to whiten your teeth, we’d like to share a few facts about teeth whitening so that you can make an informed choice. When you choose to whiten your teeth under the care and supervision of a trained dental staff, you can trust that you’ll see significant whitening results—and that your dentist will not use any product or procedure that would be harmful to your teeth or gums. It is possible to have whiter teeth while also prioritizing your dental health. Many people would like to have cosmetic dental work but are concerned about the cost. However, you can invest in your smile without breaking the bank, and teeth whitening may be a good choice if you are looking for quick results. Did you know that in-office tooth whitening at your dentist’s office can make your teeth 3-8 shades lighter in a single office visit? You may have seen drop-in tooth whitening services offered in malls or other shopping areas. We don’t recommend these services, for two reasons. First, the products they are using may not be particularly safe for your gums and teeth. Second, these services are typically offered by untrained individuals. Wouldn’t you prefer to have your whitening done by highly trained professionals in a comfortable setting? It’s also important to begin with an oral evaluation by your dentist to make sure that any discoloration is not caused by a serious dental problem that should be addressed prior to whitening. There are a lot of teeth whitening products out there, from whitening toothpastes to teeth whitening kits. At best, these products may have a mild whitening effect. At worst, they could be harmful to your teeth and gums. It’s always best to start with a professional dental evaluation if you are considering whitening your teeth. When you consult with us about whitening your teeth, we will recommend one of these professional whitening methods, both of which use safe and effective bleaching gels that you would not be able to buy over the counter. • With in-office whitening, you will see immediate results and leave our office with a brighter smile! After covering your gums and root surfaces with a protective barrier for safety, we will apply a strong hydrogen peroxide gel that will stay in place for about an hour, then remove the gel to reveal your new smile. • The second option is take-home whitening, which has a gradual whitening effect over several weeks. We will make a mold of your teeth and create a custom set of whitening trays for you to use at home, in addition to providing whitening gel to use in the trays. You will then wear the trays for about an hour at a time. Regardless of which whitening method you choose, the results typically last at least a few months and possibly 2+ years with good at-home care. We will teach you how to care for your whitened teeth, including daily dental hygiene, regular professional cleanings, and avoiding cigarettes and certain types of foods that can stain. What questions do you have about teeth whitening options? Please call us at (816) 587-6444 to ask us about lightening your teeth or other affordable cosmetic dentistry options.